Jay Greene is endowed chair and head of the Department of Education Reform at the University of Arkansas and a senior fellow at the Manhattan Institute. He conducts research and writes about topics such as school choice, high school graduation rates, accountability, and special education. Dr. Greene's research was cited four times in the Supreme Court's opinions in the landmark Zelman v. Simmons-Harris case on school vouchers. 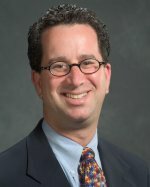 His articles have appeared in policy journals such as The Public Interest, City Journal, and Education Next; in academic journals such as The Georgetown Public Policy Review, Education and Urban Society, and The British Journal of Political Science; as well as in newspapers such as the Wall Street Journal and the Washington Post. He is the author of Education Myths (Rowman & Littlefield, 2005). Dr. Greene has been a professor of government at the University of Texas at Austin and the University of Houston. He received a B.A. in history from Tufts University in 1988 and a Ph.D. from the Department of Government at Harvard University in 1995. He lives with his wife and three children in Fayetteville, Arkansas.